Recently I posted a tutorial How To Use Gmail With Your Own Branded Domain. Professionalism, free advertising, brand reinforcement and better organization are all key aspects to using email with your branded domain. 1. With your branded domain every email you send out advertises your website, every time you give someone your email address or advertise your email address on your business card, you can also be advertising your website. Using your branded domain as your email ID will promote your domain rather than Hotmail or Yahoo! 2. Using your domain name for emails gives constant reminders of your domain name to your current users and customers, which is critical for your overall brand reinforcement. 3. It is simply more professional, and it gives that impression to clients too, whenever I see small business’s use free email accounts, it looks amateurish compared to using a branded domain for emails. 4. Unlimited options, with any good web hosting company you can make an unlimited number of email accounts and/or email forwarding, so your employees can have use of the branded domain too. 5. Organization gets easier. 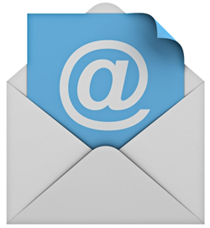 Creating several emails for different purposes can really streamline communication flow and email organization. You have a very good point of view when it comes to having your own email domain. You could also visit the site http://ownemaildomain.net/ as it provides good information on creating your own e-mail domain. The site has step by step instructions and the site creator shares his lessons learned from over seven years of having his own email domain. I’m confident that this information will help both beginners and advanced users who want to create their own email domain.